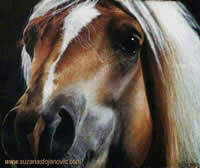 Horse art gallery and short stories by Suzana Stojanovic Suza, an equine artist and a writer. 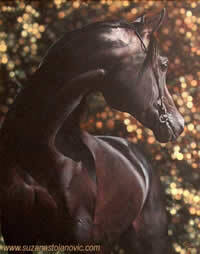 Unique and original photorealistic artwork created in various techniques including oil on canvas paintings, pastels and pencil drawings of horses, Arabian horse portraits, landscapes, people. Enigmatic short stories about life based on different life experience, temptations, events, myths, legends, mysteries and fairy tales.